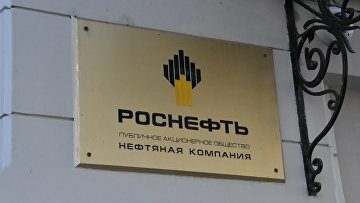 Cypriot firm ordered to pay $184.8 mln to Russia’a Rosneft | Russian Legal Information Agency (RAPSI). MOSCOW, February 20 (RAPSI) – The Ninth Commercial Court of Appeals has dismissed an appeal lodged by Cypriot company Swisspro Capital Limited Swisspro Capital Limited against recovery of $184.8 million from it on the petition of Russia’s largest oil company Rosneft, according to court records. The company has appealed against the Moscow Commercial Court’s ruling of November 15, 2017, when the court collected its debt to Rosneft related to the crude oil delivery contract of March 27, 2014. The Cypriot company acted as a borrower of about $400 million, lent in 2013 by Russian VTB bank for purchase of the Odessa oil refinery in Ukraine from Russian oil company Lukoil by Ukrainian tycoon Sergey Kurchenko’s VETEK Group of Companies. In May 2014, the Security Service of Ukraine (SSU) said that according to its estimates the damage caused by Kurchenko’s actions made 4 billion Ukrainian hryvnas (about $152 million at the current exchange rate). Earlier, Ukraine’s Interior Ministry has claimed to detect a scheme of illegal import and sale of oil products by VETEK, where Kurchenko is the chair of the Supervisory Board. According to investigators, oil products were being sold without paying taxes via fictitious companies. At that time, the Interior Ministry estimated the damage caused in 2013 alone at 26 billion hryvnas (about $2 billion). According to a statement of the SSU, in order to protect the state property-related interests certain VETEK assets in Odessa were seized, and Kurchenko was put on the international wanted list. 17:53 20/02/2019 The Ninth Commercial Court of Appeals has dismissed an appeal lodged by Cypriot company Swisspro Capital Limited Swisspro Capital Limited against recovery of $184.8 million from it on the petition of Russia’s largest oil company Rosneft.